Been running around to some local conventions the past few days, hunting up cool new furry news to pass along to you folks. Found it, so here it is! 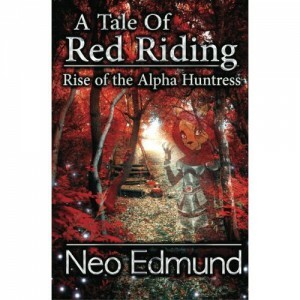 Rise of the Alpha Huntress is the first book in the new Red Riding series by Neo Edmund. 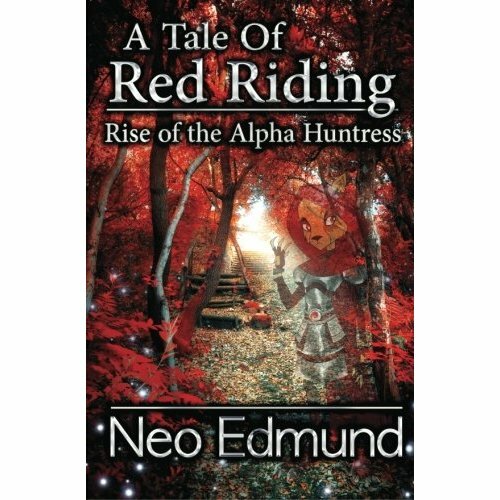 He published this new fantasy novel himself, and this is his description: “In this action-packed twist on the beloved Grimm Fairytale, Red Riding will not only face dangerous wolves; she will have to face the wolf within herself. Gifted with the power to transform into a werewolf, she will rise to become a legendary warrior known as the Alpha Huntress. Accompanied by bad-boy heartthrob Wolfgang Helheim, Red will lead a tribe of loyal followers armed with mystical powers of their own against a vile lunar deity, who plans to thrust Wayward Woods into eternal night.” Mr. Edmund has previously written materials for Zenescope, Silver Dragon Books, Discovery Channel, Animal Planet, Spike TV, and more. Rise of the Alpha Huntress is available now at Amazon, in both paper and Kindle editions. I will see what comes of it.